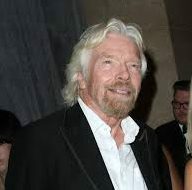 Sir Richard Branson’s Virgin Galactic is to spin-off a new business devoted to launching small satellites. Virgin Orbit has been formed, with a former 34-year veteran Boeing executive, Dan Hart, heading it up as president. Virgin Orbit will be part of a sub-set of businesses within the Virgin Group and known as Galactic Ventures and which includes the Virgin Galactic business and its rocket/space plane enterprise The Spaceship Company. Virgin Galactic will use a Boeing 747 jumbo jet as the initial launch vehicle for Branson’s SpaceShipTwo sub-orbital spacecraft. Virgin Orbit will immediately inherit more than 200 staffers, and will now ramp up hirings to around 500 staff, mostly based at its facility in the Mohave Desert. Virgin Orbit is expected to make its first test launch by the end of this year. The Boeing aircraft’s modifications are being carried out now by L-3 Technologies in Waco, Texas. The company has a firm order for 39 launches for OneWeb’s satellites, in which Virgin has a minority investment. OneWeb earlier this week announced a merger plan with Intelsat. Google to launch satellites on Virgin Galactic?